Lockheed Martin and AeroVironment signed a memorandum of understanding to jointly pursue opportunities in unmanned aircraft systems (UAS) markets, focused on AeroVironment’s high-altitude, long-endurance Global Observer. The companies announced the agreement at the Defense Expo 2014 conference in New Delhi on February 7. 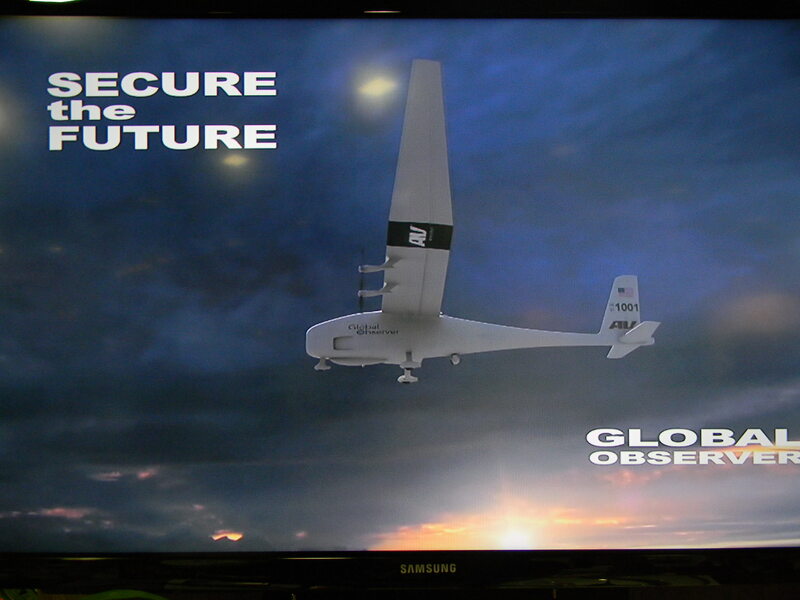 In the announcement, Roy Minson, senior vice president and general manager of AeroVironment’s UAS business segment, said the companies will collaborate on developing “end-to-end atmospheric satellite systems” based on the fixed-wing Global Observer, a liquid hydrogen-fueled aircraft designed to operate to 55,000 feet. Plying the stratosphere with four to six days of endurance and up to 400 pounds of payload capacity, the aircraft will be capable of performing communications relay, surveillance, storm tracking, wildfire detection and other missions, the company says. Advanced under a joint capability technology demonstration (JCTD) the U.S. Departments of Defense and Homeland Security awarded to AeroVironment in 2007, the Global Observer made its first flight on Aug. 5, 2010, from Edwards Air Force Base, Calif. In April 2011, one of two aircraft under development crashed on its ninth test flight. AeroVironment acquired the second aircraft from the JCTD program and continued its development. In 2012, the company started the process of obtaining FAA type certification of the aircraft, the FAA has said. In a quarterly earnings call with analysts in November, AeroVironment chairman and CEO Timothy Conver said the Global Observer is one of the company’s major growth opportunities for the next three to five years. Lockheed Martin produces small UAS, including the hand-launched Desert Hawk III used by the British Army, and has partnered with Kaman Aerospace on the K-Max unmanned helicopter the U.S. Marine Corps has used in Afghanistan. The company said it brings its systems integration expertise to the collaboration with AeroVironment. Last October, AeroVironment and Eurocopter (now Airbus Helicopters) announced the signing of a cooperative agreement to explore opportunities jointly for expanding their respective product lines.